7 Benefits of the USANA CellSentials, for your best health. There are so many wonderful benefits of the USANA CellSentials. Today I will share 7 Amazing Benefits of the USANA CellSentials to show you just how important this product is for your overall health and well-being. 8 out of 10 people take supplements, and it’s not always easy to eat right. Statistics continue to show that most people DO NEED to supplement. Their daily diet simply doesn’t supply even the minimum recommended amounts of many vitamins and minerals. It is important to be educated and invest in your health by using the top rated supplement. The USANA CellSentials are manufactured to the highest pharmaceutical grade standards insuring consistency, quality, safety and in house manufacturing. Over the past 20 years, I have researched and seen the benefits of this top quality multi-vitamin mineral complex. Physicians in the USA and Canada had 127 volunteers participate in an evaluation of the USANA CellSentials. After just 4 weeks significant improvements were observed in the following areas: general health, vitality, physical stamina, body pain, social functioning, and mental health. Using these as guidelines, over the past 20 years in my clinical practice and personal life, I have observed numerous benefits. General health: stronger immunity, and improved overall health and sense of well-being. Vitality: high levels of pep, energy, and endurance, less prone to injury and injuries heal much faster. Physical health and stamina: improved ability to complete tasks and function effectively, and clearly in the workplace and other environments. Body pain: decreased levels of chronic pain, headaches and generalized pain and discomfort. Reduced inflammatation and associated inflammatory conditions. Social functioning: improved levels of mental health and sociability. Socially more comfortable and at ease, less anxious or fatigued in social settings. Emotional health: improved emotional balance and sense of well-being. Mental health: decrease in nervousness, anxiety and depression, and an improved sense of calmness and happiness. The USANA CellSentials Nourish. Protect and Renew the cell. They are highly absorbable, bio-available. The nutrients enter the cell to supply carefully balanced levels of high-quality vitamins and antioxidants, plus the InCelligence Complex. 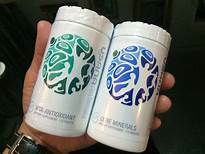 The Usana CellSentials are not available in stores they must be purchased from a Usana Distributor to assure the authenticity and freshness of the product. Core Minerals and Vita Antioxidant work together to support vibrant health. 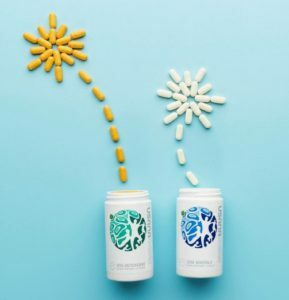 That’s why the USANA CellSentials Pack contains a 28-day supply of both Core Minerals and Vita Antioxidant—essential supplements formulated to nourish, protect, and renew optimal cellular health. These award-winning products are FDA approved, have the Good Manufacturing Seal of Approval and continue to be rated the number one multi-vitamin in the world. LEARN MORE. The CellSentials are for everyone from teens through adulthood. 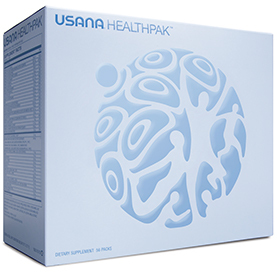 USANA offers a 30-day money back guarantee for all their products and you can depend on the quality of this product. In my Professional Opinion, the 7 Amazing Benefits of Usana CellSentials make it crystal clear. Considering the 7 benefits of the CellSentials, they should be an essential part of building and maintaining every adult’s health. As a holistic nutritionist and supplementation specialist, I have been researching multi-vitamins for years and am very careful about what supplements I take. 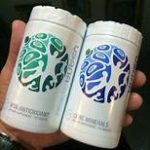 I trust my health and that of my family and clients to USANA CellSentials. Your 4 -6-week USANA CellSentials supply will ship immediately upon purchase and arrive on your doorstep in 5-7 business days.